16-port External via 4 x SFF-8644 HD MiniSAS connectors. 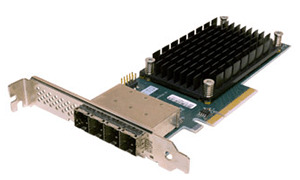 x8 PCIe 3.0 interface. Supports SAS, SATA drives and SSDs. Supports RAID 0, 1, 1e and 10 on the card. 3 year warranty.